Do you feel like your employees are hesitant to give you ideas? 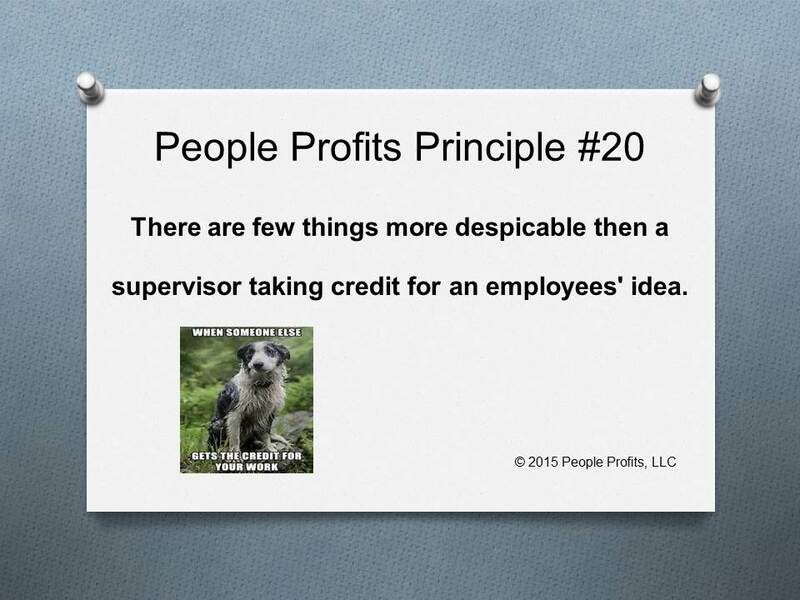 Have you ever heard, even once, that a supervisor took credit for an employees idea? Do you have supervisors who need to get credit for everything and seldom give credit to their subordinates? The damage can not be under estimated. When this happens, it is a fast moving cancer in your organization. Every employee will know about it and management will be the last to know. The only known vaccines are to know your supervisors personalities - which ones would be susceptible to doing this and listening to your employees. Don't expect an employee to come to you and say that a supervisor took credit for something the employee did. That will seldom happen. If it is happening it will be the talk of the building - just never with you because they don't want to get in trouble.